Vissokogovoriteli is a Bulgarian speakers and loudspeakers manufacturer, established in 1960. The company offers a wide range of low, middle and high frequency and broad band loudspeakers of ordinary and Hi-Fi classes, suitable for different spheres of application, ranging from professional powerful speakers to home surround systems and home theater installations. Vissokogovoriteli produces also microphones, headphones, transport and radio-electronic and communication equipment. The company conforms to ISO 9001:2000, БДС 4947-84 и БДС 12985-85 certificates and is well-known in European markets. 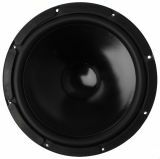 Mid-range speaker, VVK 131B8, 8Ohm, 50W, 5" Mid-range speaker VVK 131B8 with impedance 8 Ohm and power 50 W.
Low-frequency speaker, VKN 1036-01 U, 8 Ohm, 30W, 8" Low-frequency speaker VKN 1036-01 U with impedance 8 Ohm and power 30 W.
Low-frequency speaker, VKN 09370-01, 8 Ohm, 50W, 6.5" Low-frequency speaker VKN 09370-01 with impedance 8 Ohm and power 50 W.
Low frequency loudspeaker VKN0822 4Ohm 20W Low frequency speaker VKN0822 with impedance 4 Ohm and power 20 W.
Low frequency loudspeaker VKN10270-11, 4Ohm, 80W 8" Low frequency speaker VKN10270-11 with impedance 4 Ohm and power 80 W.